SactoMofo had a little food truck event going on right by my work, where the Krush Burger truck was going to be. So, on my lunch break, I took a little trip over there and ordered some mini burgers! 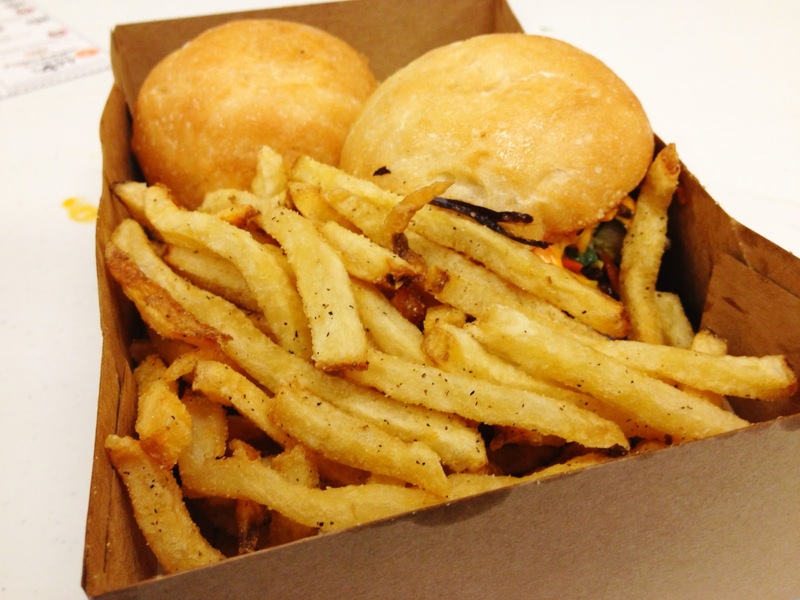 I got 2 sliders, including the Cowbell and the Ninja, and some of their Krush Fries. These are the fries, they were really good. Just the right amount of salt and crispiness. 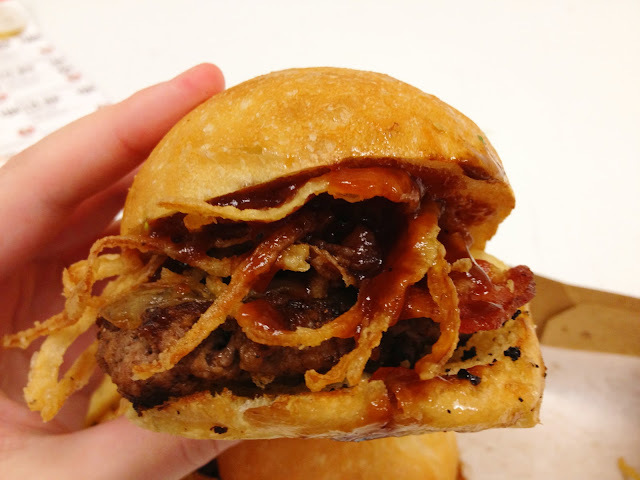 This was the Cowbell slider, with crispy onions, BBQ sauce, and bacon. This one was my favorite of the two. Really great flavors, something the Ninja just didn't quite get right. This one was the Ninja slider. 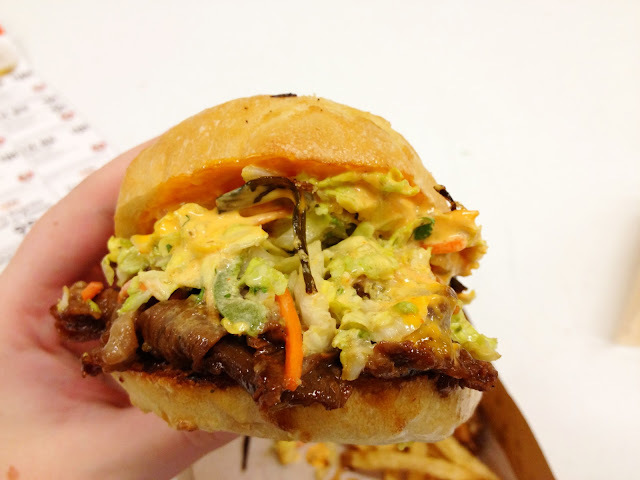 It had Korean shortribs, Asian slaw, and Sriracha aioli. Pretty sure it's one of their most popular sliders, but I wonder how many people order it a second time. The shortribs just weren't quite tender enough, and the flavors were very overpowering. Like many food trucks are doing these days, Krush Burger now has a restaurant, and I think I would prefer going there, than trying to track down the truck in a part of town I'm never really in. I would definitely go here again, as they have new menu items since I've been, and it'd be great to sit down at their restaurant and have a beer with my sliders. I recommend you try either their restaurant or food truck at least once!